In Matthew 22:1-14: A Preterist Commentary, the underlying prophecy of the parable of the wedding banquet is explained together with its amazing first century fulfillment. 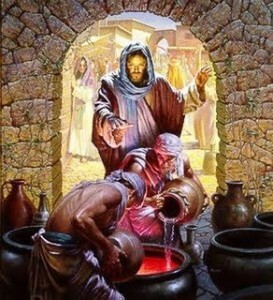 At a wedding feast in Galilee, Jesus turned water into wine. 1Jesus spoke to them again in parables, saying: 2“The kingdom of heaven is like a king who prepared a wedding banquet for his son. 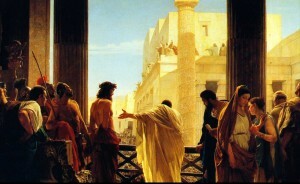 3He sent his servants to those who had been invited to the banquet to tell them to come, but they refused to come. A Preterist Commentary on Matthew 22:1-3: The Religious Authorities refuse to come to the Wedding. A Preterist Commentary on Matthew 22:4: The Wedding Dinner is the Body of Christ. 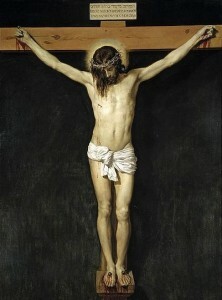 In John 6:53 Jesus says, “I tell you the truth, unless you eat the flesh of the Son of Man and drink his blood, you have no life in you.” The livestock that had been slaughtered for the feast presumably represents the Messiah Himself—the Lamb of God. 5“But they paid no attention and went off—one to his field, another to his business. 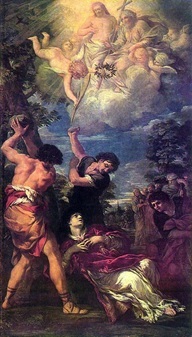 6The rest seized his servants, mistreated them and killed them. 7The king was enraged. He sent his army and destroyed those murderers and burned their city. 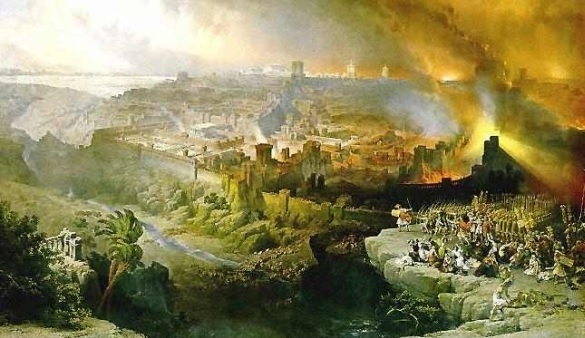 A Preterist Commentary on Matthew 22:5-7: The Roman Army destroys Israel for killing the Saints. I am sending you prophets and wise men and teachers. Some of them you will kill and crucify; others you will flog in your synagogues and pursue from town to town. And so upon you will come all the righteous blood that has been shed on the earth, from the blood of righteous Abel to the blood of Zechariah son of Berekiah, whom you murdered between the temple and the altar. I tell you the truth, all this will come upon this generation (Matthew 23:34-36). As a consequence of these crimes, that wicked generation suffered through the worst war in Israel’s history. Like the king who sent His army to destroy the people invited to the banquet, God sent Rome in A.D. 66, the most powerful army in the world, to destroy those murderers. 8“Then he said to his servants, ‘The wedding banquet is ready, but those I invited did not deserve to come. 9Go to the street corners and invite to the banquet anyone you find.’ 10So the servants went out into the streets and gathered all the people they could find, both good and bad, and the wedding hall was filled with guests. 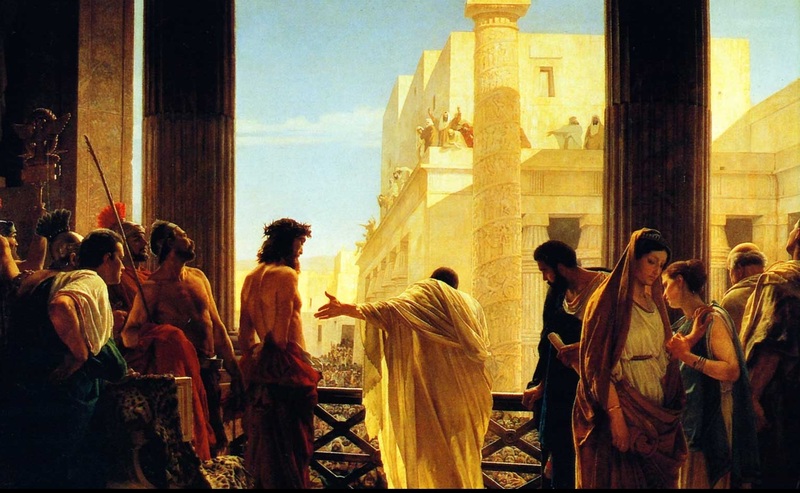 A Preterist Commentary on Matthew 22:8-10: The Common Man replaces the Religious Elite. A Preterist Commentary on Matthew 22:11-12: White Wedding Clothes represents Purity. Revelation 19:8 reads, “‘Fine linen, bright and clean, was given her [the church] to wear.’ (Fine linen stands for the righteous acts of the saints. )” The whiteness of these robes represents moral purity. The man not wearing wedding clothes signifies those still in sin. This individual was cast out of the new Jerusalem into the darkness of the night signifying the outer darkness mentioned often by Jesus in the gospels. A Preterist Commentary on Matthew 22:13: According to Near-Death Experiences, Hell is a Dark Wasteland like the Outer Darkness of v. 13. 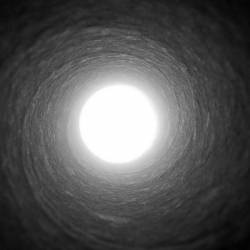 It is frequently noted in near-death experiences (NDE’s) that the afterlife is divided into pleasant and unpleasant dimensions. According to NDE’s heaven is described as a bright, luminescent habitation whereas hell is a realm of darkness. Many who have had hell-like afterlife experiences describe a dark, barren wasteland of wandering spirits. Could this be the outer darkness spoken of in this parable? Interested in THE PRETERIST VIEW OF ESCHATOLOGY, or are you a PRETERISTstruggling with a prophecy or verse? It DID happen just like the Bible says! If you liked this essay, see PRETERIST BIBLE COMMENTARY for a detailed explanation of the FULFILLMENT OF ALL MAJOR END TIME PROPHECIES IN THE BIBLE. The more unbelievable the prophecy, the more amazing and miraculous the fulfillment!